The R&S CMX500 radio communication tester adds 5G NR signaling and RF testing to existing R&S CMW500 based LTE T&M solutions in labs. 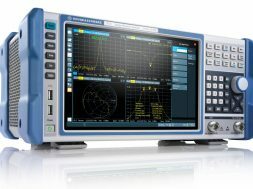 It measures the RF parameters of 5G NR transmissions and performs protocol tests. The tester has a modular design and a state-of-the-art web based user interface.